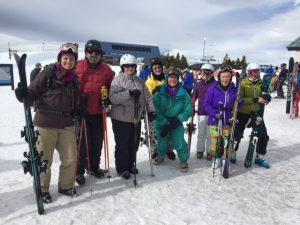 Vail Public Library’s (VPL) Skiing Book Club takes readers to the slopes for an active book club. We meet in the area between the water fountain near Bistro 14 and Gondoly's Pizza at the top of Eagle's Nest Gondola, to talk books and then ski (we intend to ski blue, groomed slopes). Attendees must have their own ski pass, the library will not be providing lift tickets or refreshments. Our Skiing Book Club is a fun, social outing, but at the same time you are getting the mental and physical activity essential to a healthy brain.